According to the 2016 Report to the Nations, a global fraud study by the Association of Certified Fraud Examiners, the median loss in more than 40 construction fraud cases examined was $259,000. For small and mid-size companies, the issue is particularly troublesome: A greater percentage of these companies report incidents of fraud than are reported by large companies, according to the ACFE study. Naturally, the impact of any loss will be felt more acutely by smaller companies. The goal when implementing internal controls is to prevent fraud. However, this is not always possible. Here is our Top 10 list of internal controls, including preventive controls and detective controls. Preventive controls are designed to prevent errors, inaccuracy or fraud before it occurs. Detective controls are intended to uncover the existence of errors, inaccuracies or fraud that has already occurred. Tone at the Top. Tone at the top defines management’s commitment and attitude towards honesty, integrity, and ethical behavior. The tone at the top is set by all levels of management, from the owner to the CFO, and is felt by all employees in a trickle-down effect. If management upholds ethical values and demonstrates through their actions their commitment to honesty and communication, your employees are more likely to uphold these values as well. Written Policies. Put your policies into writing for all employees to read and sign upon hire. These policies should include a zero-tolerance policy encouraging whistleblowing, providing an anonymous tip line for employees to call, and assure protection to whistleblowers. By putting policies in writing, you are taking significant proactive steps towards protecting your company. Mandatory Vacation. If you have an employee that is unusually guarded or protective of his or her work, computer, or desk and refuses to take vacation days, this can be a characteristic of fraud. Although this alone is not a sign of fraud, if there are a combination of characteristics such as unreasonable delays in receiving financial or job profitability reports, or an employee who seems to be living above his or her means, it’s worth looking into. Approved Vendor List. If you do not have a pre-approved vendor list, it leaves an opening for mischievous employees to make up vendors and suppliers and provide fake invoices with P.O. Boxes. In addition, only select management personnel should be able to edit the approved list of vendors. Segregate Duties. It is common in a small business for employees to have multiple responsibilities; it keeps overhead costs low and allows managers to focus on operations and staying profitable. We can help you determine if your company has segregation of duties issues and provide you with suggestions for improvement, no matter how small. One example of a small change with large impact is to have the front desk receptionist open the mail and make a list of checks received before they are sent to the accounting department for deposit. Require Support. Not only should your company only issue checks when purchase orders, invoices, and receiving documents support the payment, but receipts should be required for each and every charge on company credit cards. When signing checks, the authorized signer should confirm that there is support for each check signed and that the documentation appears valid and agrees to the amount of the check. This may be a time consuming task but it can save your company tens of thousands of dollars. Control Signatory Methods. Especially in small construction companies, where segregation of duties is impossible due to a small accounting department, eliminate signature stamps and automatic check-signing machines. If the volume of checks requires a stamp or machine, make sure there is limited access to the device and that it is locked away or password protected with access only by the authorized signer. Monitor Payment Applications. Overstated payment applications account for a large portion of construction fraud. Project managers or project accountants can falsify payment applications to cover up the purchase of personal items or funnel money to a phantom company. Make sure to compare budget to actual, reconcile payments to payment applications, and tie subcontractor bills to payment applications. Open the Mail. Cash is traditionally the easiest asset for employees to steal. Have unopened bank statements delivered to the owner or a designated member of management. Upon receipt of these unopened bank statements, management should review the statement and related cleared checks, looking for anything unusual or out of place. This detective measure can help you determine if cash is being stolen. Internal Audits/Management Reviews. Random internal audits of job costs, manual journal entries, cleared checks, or payroll data provide a strong detective control. Internal audits should be performed by experienced members of an internal audit department or outsourced to auditors with experience in construction audits. We recommend your company perform random checks on an annual to bi-annual basis or whenever management has suspicion of fraud. 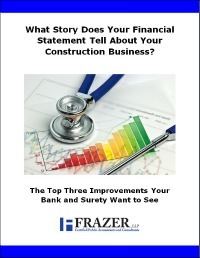 To help prevent fraud in your construction company consider conducting an Internal Control Review. 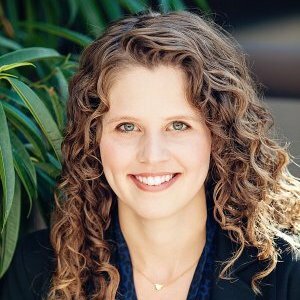 Bethany Smith, CPA joined Frazer, LLP in 2011 and has seven years of public accounting experience. She is a Certified Construction Industry Financial Professional and conducts audits, reviews, and compilations of various construction, manufacturing, and non-profit entities. Bethany is a member of the National Association of Women in Construction. Contact her at bsmith@frazerllp.com or 714.990.1040.